Dan Murphy is a managing director at Scotiabank. 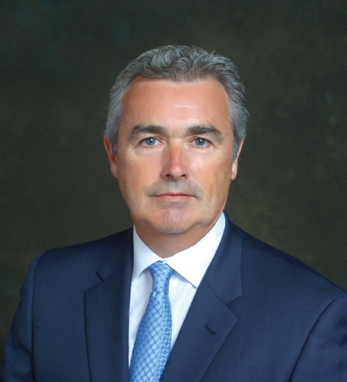 He is a member of the bank’s U.S. Executive Committee and the Scotia Capital USA board of directors. Dan is responsible for strategy and business execution for the Global Banking and Markets division in the U.S. Prior to joining Scotiabank, Dan held various senior management positions at Wachovia and Merrill Lynch. Dan earned his B.S. in finance from Manhattan College and his M.B.A. from Pace University. A second-generation Irish-American with ties to counties Kerry and Waterford, Dan obtained his Irish citizenship in 2009. Dan currently lives in Jersey City, NJ with his wife, Deirdre. Dan has three children, Ryan, Kellyann and Mackenzie. Dan is a volunteer for Hudson County CASA as a court-appointed special advocate for neglected and abused children. Dan is also an avid sailor and a licensed United States Coast Guard Captain.